Orient potential and current visitors to the college campus and the programs it offers. 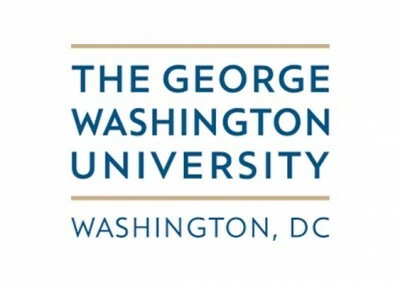 With new programs and facilities, George Washington University needed to update their recruiting site, particularly the map of their very urban campus. They liked that the map was the core of the virtual tour, so that a prospective student could, as they walked about the campus, could learn more about the building than simply the name. 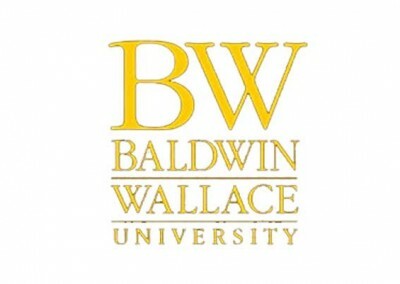 By clicking or touching a GWU building on the map, the viewer can learn what departments are housed there, what events are scheduled, and access links to social media, including live Twitter feeds. The map includes GPS “fencing” that will prompt the viewer to learn more as they approach a specific location on campus.